In July 2016, the FBI began investigating the Russian government’s attempt to influence the 2016 presidential election, including whether President Donald Trump’s campaign associates were involved in those efforts. “Russian President Vladimir Putin ordered an influence campaign in 2016 aimed at the US presidential election” between Trump and Democratic presidential nominee Hillary Clinton, according to a U.S. intelligence community report released Jan. 6, 2017. Russian intelligence services gained access to the computer network of Democratic Party officials and released the hacked material to WikiLeaks and others “to help President-elect Trump’s election chances,” the IC said in its report. The Internet Research Agency, a Russian online propaganda operation, also conducted a social media campaign “to advocate for President-elect Trump as early as December 2015,” the IC report said. 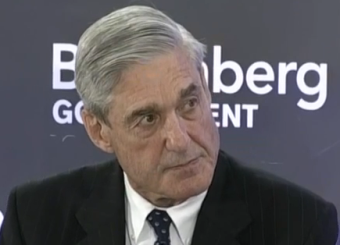 The report “found multiple acts by the President that were capable of exerting undue influence over law enforcement investigations, including the Russian-interference and obstruction investigations.” Mueller, however, refrained from recommending prosecution, saying that there were “difficult [legal] issues that would need to be resolved,” in order to move forward with a case. Here we present a timeline of key events in the investigation. We will update this timeline as necessary. For those reading this on a website other than FactCheck.org, please click here for updates. June 16 — Trump announces that he is running for president. Nov. 16 — Lana Erchova, on behalf of her then-husband, Dmitry Klokov, emails lvanka Trump and offers to help the Trump campaign. “If you ask anyone who knows Russian to google my husband Dmitry Klokov, you’ll see who he is close to and that he has done Putin’s political campaigns.” The Mueller report, who contained the email, says, “Klokov was at that time Director of External Communications for PJSC Federal Grid Company of Unified Energy System, a large Russian electricity transmission company, and had been previously employed as an aide and press secretary to Russia’s energy minister.” Ivanka Trump forwarded the email to Cohen. Jan. 20 – Peskov’s assistant emails Cohen, telling him to give her a call. Cohen calls Peskov’s assistant and speaks to her for 20 minutes. Cohen outlines the Moscow Trump Tower project and asks for the Russian government’s assistance. Feb. 26 — Reuters reports that Flynn “has been informally advising Trump” on foreign policy during the presidential campaign. March 21 — Lukashev and other Russian military intelligence officers steal more than 50,000 emails from Podesta, Clinton’s campaign chairman. March 29 — Trump announces that Paul Manafort, a longtime Republican operative, will be his campaign convention manager. Manafort had worked for more than a decade for pro-Russia political organizations and people in Ukraine — including Viktor Yanukovych, the former president of Ukraine and a close ally of Putin. March 31 — Trump attends a national security meeting that was chaired by Sessions and attended by his foreign policy advisers, including Page and Papadopoulos. At the meeting, Papadopoulos says he has connections in Russia and could help arrange a meeting between Trump and Putin, according to the Justice Department. April 6 — Russian military intelligence officers create an email account similar to a Clinton campaign staffer and then send emails to more than 30 Clinton campaign employees that include a link to a document titled, “hillary-clinton-favorable-rating.xlsx.” The link directs the recipients’ computers to a website created by the GRU, the Russian military intelligence agency. May 6 — Sater emails Cohen about attending the St. Petersburg Forum, asking the Trump Organization executive whether he would be able to travel to Moscow on those dates. “Works for me,” Cohen writes. 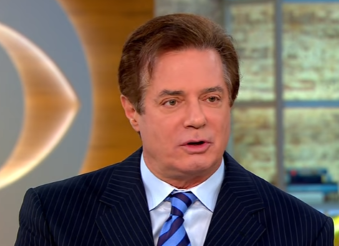 May 19 — Manafort is elevated from convention manager to campaign chairman and chief strategist. May 25 — Russian military intelligence officers successfully hack into the DNC’s server and over the course of a week stole thousands of emails from DNC employees. June 14 — The Washington Post reports that hackers had gained access to DNC servers. It is the first public disclosure of the security breach. June 20 — Manafort becomes the Trump campaign manager. He replaces Corey Lewandowski, who was fired. Christopher Steele, a former British intelligence officer, files his first of 16 memos on Trump’s connections to Russia. Fusion GPS, a research firm founded by former Wall Street Journal reporters Glenn R. Simpson and Peter Fritsch, hired Steele as part of an opposition research project paid for by a law firm representing Clinton’s campaign and the Democratic National Committee. July 22 — WikiLeaks releases nearly 20,000 DNC emails. It would eventually release more than 44,000 emails and 17,000 attachments, WikiLeaks says on its website. July 25 – The FBI confirms it has opened an investigation into the hacking of the DNC computer network. “The FBI is investigating a cyber intrusion involving the DNC and are working to determine the nature and scope of the matter. A compromise of this nature is something we take very seriously, and the FBI will continue to investigate and hold accountable those who pose a threat in cyberspace,” it says in a release. July 27 — At a press conference, Trump says he has “never spoken” to Putin, even though he had said in 2013 “I have a relationship” with Putin. At the press conference, Trump also says he doubts that Russia was responsible for hacking the DNC computer network, but invites Russia to find the 30,000 personal emails that former Secretary of State Hillary Clinton’s staff deleted when she left office. “Russia, if you’re listening, I hope you’re able to find the 30,000 emails that are missing,” he says. Trump later says he was being “sarcastic” in inviting Russia to find the emails. July 29 — The Democratic Congressional Campaign Committee announces that its computer network also has been hacked. Several of its House candidates were targets of stolen emails released by Guccifer 2.0. Aug. 19 — Trump removes Manafort as his campaign manager. Sergey Kislyak, Russian ambassador to the U.S.
Sept. 8 — Sen. Jeff Sessions meets privately with Kislyak, the Russian ambassador to the United States, in the senator’s office. After exchanging messages on Clinton’s alleged comments about Assange, Trump Jr. asks WikiLeaks, “What’s behind this Wednesday leak I keep reading about?” WikiLeaks does not respond, at least not on Twitter. After Assange’s press conference, Bannon and Stone exchange emails about WikiLeaks’ plans to release hacked material. “A load every week going forward,” Stone writes to Bannon. Oct. 7 — WikiLeaks begins to release Clinton Campaign Chairman John Podesta’s emails. The Department of Homeland Security and Office of the Director of National Intelligence issue a joint statement saying that the U.S. intelligence community is “confident” that hacks into the email systems of the Democratic Party and its officials were directed by the Russian government. Donald Trump Sr. tweets, “Very little pick-up by the dishonest media of incredible information provided by WikiLeaks. So dishonest! Rigged system!” The tweet does not include a link to WikiLeaks, and it is not clear if the tweet is in response to WikiLeaks’ request. Oct. 14 — Trump Jr. publicly tweets the wlsearch.tk link, as noted in the Mueller report released April 18, 2019. Oct. 21 — The FBI receives approval from the Foreign Intelligence Surveillance Court, known as the FISA court, to monitor the communications of Carter Page, a member of Trump’s foreign policy team. Nov. 8 — Donald J. Trump is elected 45th president of the United States. Nov. 10 — Trump meets with President Barack Obama at the White House. Obama reportedly warns Trump against hiring Flynn. Nov. 18 — The president-elect selects Flynn as his national security adviser. President Obama announces he has ordered a detailed review of Russian hacks during the 2016 campaign. Early January — The FISA court agrees to extend the FBI’s surveillance of Carter Page, who was a foreign policy adviser to the Trump campaign. The DNI report contains no evidence of collusion between Russia and the Trump campaign. Comey also assures the president-elect at the meeting that he is not personally under investigation. (“That was true; we did not have an open counter-intelligence case on him,” Comey would later tell the Senate intelligence committee in written testimony prior to his June 8 hearing.) Immediately after leaving the meeting, Comey types up some notes in his car — one of seven memos he wrote about his encounters with Trump. Jan. 15 — Vice President-elect Mike Pence says Flynn and Kislyak did not discuss U.S. sanctions on Russia. “They did not discuss anything having to do with the United States’ decision to expel diplomats or impose censure against Russia,” Pence said. Jan. 20 — Trump is inaugurated as the 45th president of the United States. Jan. 22 — On the same day that Flynn is sworn in as the national security adviser, the Wall Street Journal reports that U.S. counterintelligence agents have investigated Flynn’s communications with Russian officials. Jan. 24 — Two days after he takes office as President Trump’s national security adviser, Flynn is interviewed by FBI agents. He is asked about two conversations that he had with Kislyak, the Russian ambassador to the United States, in December 2016 when Flynn was still a private citizen and before Trump took office. Flynn tells the FBI agents that he did not ask Kislyak, in a Dec. 29, 2016, conversation, for Russia to refrain from retaliating after the Obama administration announced sanctions that day against Russia for interfering in the 2016 elections. He also says that he did not ask Kislyak, in a Dec. 22, 2016, conversation for Russia to delay or defeat a U.N. Security Council resolution, approved Dec. 23, 2016, that would have condemned Israel’s building of settlements in the West Bank and East Jerusalem. Flynn would later plead guilty to lying to the FBI about both of those conversations with Kislyak. Jan. 28 — Trump receives a congratulatory phone call from Putin. Feb. 9 — The Washington Post reports that Flynn “privately discussed U.S. sanctions against Russia with that country’s ambassador to the United States during the month before President Trump took office, contrary to public assertions by Trump officials,” citing unnamed current and former officials. 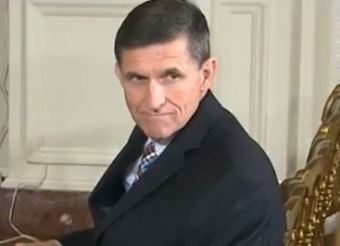 Feb. 13 – Flynn resigns. He acknowledges that he misled Pence and others in the administration about his conversations with Kislyak, the Russian ambassador. “I inadvertently briefed the Vice President Elect and others with incomplete information regarding my phone calls with the Russian Ambassador,” Flynn says. White House Chief of Staff Reince Priebus asks FBI Deputy Director Andrew McCabe if the agency would help the White House knock down news stories about contacts between Trump aides and Russians during the 2016 presidential campaign. The FBI interviews Papadopoulos, a Trump foreign policy adviser, for a second time. March 1 — The Washington Post reports that then-Sen. Sessions “spoke twice last year with Russia’s ambassador to the United States,” including a private meeting in the senator’s office on Sept. 8, 2016. The report contradicts what Sessions told the Senate Committee on the Judiciary during his confirmation hearing. March 4 — In a flurry of tweets, Trump accuses Obama of illegally “tapping my phones in October” during the “very sacred election process.” He compares Obama’s actions to Watergate and calls the former president a “bad (or sick) guy!” Trump presents no evidence that Obama was tapping his phones. March 22 — Rep. Devin Nunes, chairman of the House intelligence committee, holds a press conference to announce that he had reviewed intelligence reports that show “incidental collection” on some unnamed Trump transition team members had occurred after the election. Nunes, a former Trump transition team member, says he believes the information was legally obtained and was unrelated to Russia, but he says it raises questions about whether the intelligence community was improperly unmasking U.S. citizens whose identities should be protected. March 27 — The New York Times reports that the Senate intelligence committee informed the White House that it wants to question Jared Kushner, Trump’s son-in-law and senior adviser, about his meetings in December with Kislyak, the Russian ambassador, and Gorkov, the head of Russia’s state-owned bank. Nunes acknowledges that he went to the White House to review the intelligence reports on the “incidental collection” of information on Trump transition team members. Flynn’s attorney, Robert Kelner, says in a statement that his client is willing to testify before Congress if Flynn receives immunity. “General Flynn certainly has a story to tell, and he very much wants to tell it, should the circumstances permit,” Kelner’s statement said. The White House releases a revised financial disclosure form for Flynn that shows he received speaking fees from RT TV, the Russian television network, and two other Russian firms. Flynn failed to report that income when he initially filed his disclosure form in February. Early April — The FISA court agrees to extend the FBI’s surveillance of Carter Page, who was a foreign policy adviser to the Trump campaign. April 6 — Nunes announces he will no longer oversee the House intelligence committee’s Russia investigation. 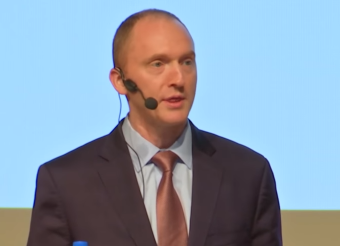 The Washington Post reports that the FBI obtained a secret court order last summer under the Foreign Intelligence Surveillance Act to monitor the communications of Carter Page, a member of Trump’s foreign policy team. The Justice Department convinced the FISA judge that Page, who had worked in Russia, “was acting as an agent of a foreign power, in this case Russia,” the Post wrote. May 8 — Yates testifies at a Senate hearing that she had two in-person meetings and one phone call with McGahn, the White House counsel, to discuss Flynn’s meetings with Kislyak, the Russian ambassador. Her first meeting with McGahn was on Jan. 26, as mentioned above. Deputy Attorney General Rod Rosenstein learns that Trump intends to fire Comey. Rosenstein later would tell Congress, “On May 8, I learned that President Trump intended to remove Director Comey and sought my advice and input. Notwithstanding my personal affection for Director Comey, I thought it was appropriate to seek a new leader.” Rosenstein then set out to write a memo outlining his concerns about Comey’s leadership. May 9 – Trump fires Comey. A White House statement said that Trump acted “based on the clear recommendations” of Attorney General Jeff Sessions and Deputy Attorney General Rod Rosenstein. In a two-and-a-half-page memo, Rosenstein cited Comey’s handling of the FBI’s investigation into Hillary Clinton’s use of a private email server for official government business while she was the secretary of state under Obama. 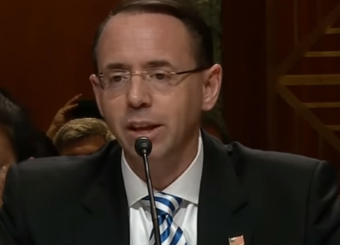 Rosenstein criticized Comey for holding a press conference on July 5, 2016, to publicly announce his recommendation to not charge Clinton, and for disclosing on Oct. 28, 2016, that the FBI had reopened its investigation of Clinton. CNN also reports the U.S. attorney’s office in Alexandria, Virginia, issued subpoenas to associates who worked with Michael Flynn on contracts after he left the Defense Intelligence Agency in 2014. May 13 — In a Fox News interview with Judge Jeanine Pirro, Trump denies that he asked for Comey’s loyalty. “But I don’t think it would be a bad question to ask,” he adds. May 15 — The Washington Post reports that during a May 10 meeting with Russian officials Trump discussed classified information about an ISIS terrorist threat involving laptop computers on commercial airlines. May 16 — The New York Times reports that Israel was the source of the intelligence information that Trump disclosed to Russian officials. May 17 — Rosenstein, the deputy attorney general, appoints former FBI Director Robert S. Mueller III as special counsel to investigate any possible collusion between the Trump campaign and the Russian government’s efforts to influence the 2016 presidential election. At a press conference with the president of Colombia, Trump denies that he asked Comey to close down the FBI’s investigation of Flynn. “No. No. Next question,” Trump said. The Washington Post reports that federal investigators have “identified a current White House official as a significant person of interest” in the Russia investigation. Six days later, the Post reports that that person is Kushner, Trump’s son-in-law and senior adviser. The term has no legal meaning, but is used by law enforcement when identifying someone who may have information of interest to an investigation. May 22 — The Washington Post reports that “Trump made separate appeals to the director of national intelligence, Daniel Coats, and to Adm. Michael S. Rogers, the director of the National Security Agency, urging them to publicly deny the existence of any evidence of collusion during the 2016 election.” The paper says the meeting happened in March and that Coats and Rogers denied the president’s request. 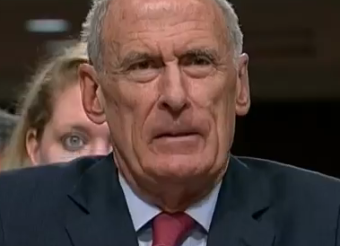 May 23 — Coats appears at a Senate Armed Services Committee hearing and is asked if the Post report on Trump’s request to help him push back against the FBI investigation is accurate. Coats declines to answer. “It’s not appropriate for me to comment publicly on any of that,” Coats said. Former CIA Director John O. Brennan testifies before the House intelligence committee about the federal investigation into possible collusion between Russia and the Trump campaign. In an exchange with Republican Rep. Trey Gowdy, Brennan says he does not know if any “such collusion existed,” but he was concerned about contacts between Russian officials and people involved in the Trump campaign. May 31 — The House Permanent Select Committee on Intelligence issues subpoenas for testimony, documents and business records from Flynn and Michael Cohen, a personal attorney to the president. June 6 — Flynn provides more than 600 pages of documents to the Senate intelligence committee, CNN reports. The committee subpoenaed the documents on May 10. Trump announces his intention to nominate Christopher Wray to replace Comey as the FBI director. Wray was an assistant U.S. attorney general in the Bush administration in charge of the Justice Department’s criminal prosecutions division. Comey submits written testimony to the Senate intelligence committee in advance of his June 8 appearance before the committee. In his testimony, Comey says that he first spoke to Trump on Jan. 6, 2017, at Trump Tower, and he wrote memos after each meeting or conversation. The former FBI director said that he had “nine one-on-one conversations with President Trump in four months – three in person and six on the phone.” On three occasions, Comey told Trump he was not personally under investigation. 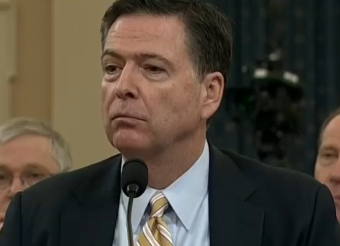 June 8 – Comey testifies under oath before the Senate intelligence committee. As his written testimony detailed, Comey says the president asked him for his loyalty at a Jan. 27 dinner and asked him to drop the Flynn investigation at a Feb. 14 meeting. He also says Trump asked that the FBI “lift the cloud” over his administration and publicly announce that the president is personally not under investigation on March 30 and April 11. The president also says that he is “100 percent” willing to testify under oath about his conversations with Comey. “No collusion, no obstruction, he’s a leaker,” Trump says. The House intelligence committee sends a letter to McGahn, the White House counsel, asking if any such tapes exist and, if so, to turn them over to the committee by June 23. June 13 – Deputy Press Secretary Sarah Sanders said the president has the “right” to fire Mueller, but won’t. “While the president has the right to, he has no intention to do so,” Sanders told reporters aboard Air Force One. Rosenstein, the deputy attorney general, tells the Senate Judiciary Committee that he alone has the authority to fire the special counsel, and that he has not seen any evidence of good cause for firing Mueller. Sessions testifies before the Senate intelligence committee. “[T]he suggestion that I participated in any collusion, that I was aware of any collusion with the Russian government to hurt this country, which I have served with honor for 35 years, or to undermine the integrity of our democratic process, is an appalling and detestable lie,” he says. Sessions declines to answer any questions about his conversations with the president regarding Comey’s firing or any other matter. “[C]onsistent with long-standing Department of Justice practice, I cannot and will not violate my duty to protect confidential communications with the president,” he says. June 15 — Trump tweets: “They made up a phony collusion with the Russians story, found zero proof, so now they go for obstruction of justice on the phony story. Nice”. Pence hires Virginia lawyer Richard Cullen, a partner at McGuireWoods and former U.S. Attorney for the Eastern District of Virginia under President George H.W. Bush, to serve as his personal lawyer during the Russia investigation. “I can confirm that the Vice President has retained Richard Cullen of McGuireWoods to assist him in responding to inquiries by the special counsel,” Pence spokesman Jarrod Agen said in a statement. Late June — The FISA court agrees to extend the FBI’s surveillance of Carter Page, who was a foreign policy adviser to the Trump campaign. Trump meets Putin at G-20 summit on July 7, 2017. 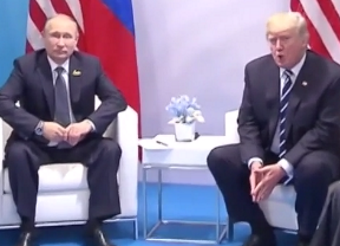 July 7 – Trump talks twice with Putin at G-20 summit. The first is a regularly scheduled meeting that lasted more than two hours. Secretary of State Rex Tillerson attends that meeting and discusses it with the media after it ends. The second conversation occurs at a dinner for G-20 leaders and their spouses. The White House would not disclose or confirm that second conversation until July 18. Ian Bremmer, president and founder of the Eurasia Group, revealed the previously undisclosed conversation in a newsletter to clients of his New York-based risk management company. Bremmer said Trump went to Putin’s table at some point during the dinner and the two men spoke for “roughly an hour.” White House Press Secretary Sean Spicer confirmed that Trump initiated the conversation, but he said it was brief and nothing more than “pleasantries and small talk” were exchanged. 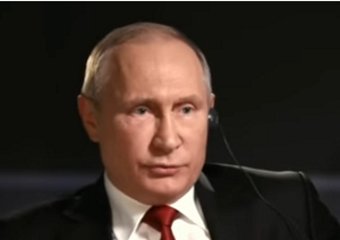 There is no record of the conversation, which was facilitated only by a Russian interpreter. 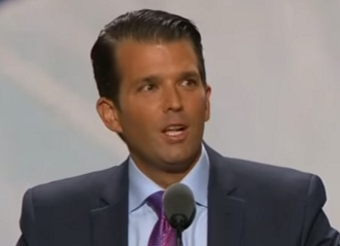 July 19 – The Senate judiciary committee asks Donald Trump Jr. to turn over all documents “relating to any attempts or actions taken by the Trump Organization or Trump campaign to coordinate, encourage, gain, release, or otherwise use information related to Russia’s influence campaign aimed at the US 2016 presidential election.” The committee’s letter, in particular, asks for any documents related to the June 2016, meeting with Veselnitskaya, as well as all communications he had with a long list of specific Trump campaign officials and Russian individuals and businesses. 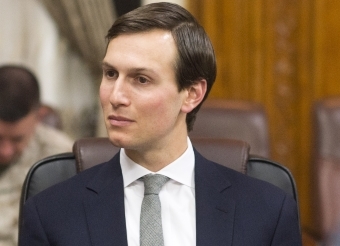 July 24: Kushner, Trump’s son-in-law and senior White House adviser, meets for two hours with Senate intelligence committee investigators. “I did not collude, nor know of anyone else in the campaign who colluded, with any foreign government,” Kushner says in a statement that he provided to congressional investigators. In his statement, Kushner says he can recall two meetings with Russian government representatives during the campaign and two meetings during the transition. 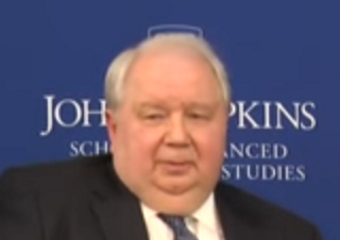 The statement says he spoke briefly to Kislyak, the Russian ambassador, at the Mayflower Hotel in Washington, D.C., in April 2016 prior to a speech by Trump on foreign affairs, and that he met with Kislyak for 20 or 30 minutes at Trump Tower on Dec. 1, 2016. He also says he met banker Sergey Gorkov in New York on Dec. 13, 2016, for 20 to 25 minutes, and he attended a meeting arranged by Donald Trump Jr. with Russian attorney Natalia Veselnitskaya at Trump Tower on June 9. 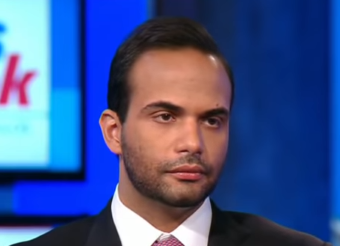 July 27 — Papadopoulos, a Trump foreign policy adviser during the campaign, is arrested at Dulles International Airport on charges that he lied to FBI agents. Following his arrest, Papadopoulos met with government investigators “on numerous occasions to provide information and answer questions,” according to a court document. Aug. 1 – White House Press Secretary Sarah Sanders confirms that the president was involved in drafting the statement that Donald Trump Jr. issued on July 8 about the meeting that he and other Trump campaign officials had with Russian representatives on June 9, 2016. That statement was misleading. It failed to mention that Donald Trump Jr. agreed to the meeting after being promised “some official documents and information that would incriminate Hillary” as “part of Russia and its government’s support for Mr. Trump,” according to emails that Donald Trump Jr. released on July 11. Sept. 6 — Facebook announces that it has identified roughly 3,000 politically related ad buys connected to 470 fake accounts linked to Russia. In a blog post, Alex Stamos, the company’s chief security officer, writes: “In reviewing the ads [sic] buys, we have found approximately $100,000 in ad spending from June of 2015 to May of 2017 — associated with roughly 3,000 ads — that was connected to about 470 inauthentic accounts and Pages in violation of our policies. Our analysis suggests these accounts and Pages were affiliated with one another and likely operated out of Russia.” The company says it also alerted U.S. authorities that it found an additional “$50,000 in potentially politically related ad spending on roughly 2,200 ads” that may be linked to Russia. Those ads were “bought from accounts with US IP addresses but with the language set to Russian” and “didn’t necessarily violate” Facebook policies. Stamos says the ads “appeared to focus on amplifying divisive social and political messages,” including on race, immigration, gun rights and LGBT issues. Sept. 7 – Donald Trump Jr. spends five hours behind closed doors answering the questions of Senate judiciary committee investigators. In his prepared remarks, Trump says, “I did not collude with any foreign government and do not know anyone who did.” He also discusses his June 9, 2016, meeting with Russian lawyer Natalia Veselnitskaya and five or six others at Trump Tower in New York. Trump’s oldest son says he was “skeptical” but nonetheless intrigued by an email he received from a Russian acquaintance who claimed that the Russian government had “official documents and information that would incriminate Hillary [Clinton] and her dealings with Russia.” Trump says, “To the extent they had information concerning the fitness, character or qualifications of a presidential candidate, I believed that I should at least hear them out.” He says the meeting lasted 20 to 30 minutes and produced no information about Clinton. “I have no recollection of any documents being offered or left for us,” he says. Sept. 19 — CNN reports that federal investigators “wiretapped former Trump campaign chairman Paul Manafort under secret court orders before and after the election,” citing unnamed sources. According to CNN, the FBI obtained two warrants to conduct surveillance of Manafort from the Foreign Intelligence Surveillance Court, known as the FISA court. CNN says the first warrant was issued in 2014 and expired before Manafort joined the Trump campaign. CNN does not say if the second warrant was issued when Manafort was still part of the Trump campaign. “It is unclear when the new warrant started,” CNN writes. Sept. 26 – Stone testifies for three hours in a closed session of the House intelligence committee. In written testimony to the committee, Stone denies any collusion with the Russians. “To be clear, I have never represented any Russian clients, have never been to Russia, and never had any communication with any Russians or individuals fronting for Russians, in connection with the 2016 presidential election,” he says. Oct. 2 – Facebook gives the Senate and House intelligence committees more than 3,000 ads linked to Russia that it says appeared on the social media site during the 2016 campaign. In a blog post, Elliot Schrage, vice president of policy and communications at the company, says the ads reached an estimated 10 million people in the United States. Oct. 4 — The Republican chairman and the ranking Democrat on the Senate intelligence committee hold a joint press conference to provide an update on the Russia investigation. “The issue of collusion is still open,” says Sen. Richard Burr, the committee chairman, referring to possible collusion between Russia and the Trump campaign. The North Carolina Republican says the committee has interviewed more than 100 people and has 25 additional interviews scheduled for October. He says the committee hopes to complete its work before the 2018 midterm elections next November. Oct. 5 — Papadopoulos, a Trump foreign policy adviser, pleads guilty to lying to FBI agents. His guilty plea is not made public until Oct. 30. Oct. 13 — Federal investigators interview Reince Priebus, the president’s former chief of staff. “Mr. Priebus was voluntarily interviewed by Special Counsel Mueller’s team today. He was happy to answer all of their questions,” his attorney William Burck said in a statement. Oct. 24 – NBC News reports that the Podesta Group and the group’s co-founder, Tony Podesta, brother of Clinton’s campaign chairman John Podesta, are “subjects” of the special counsel’s investigation. John Podesta is not affiliated with the firm. Citing unnamed sources, NBC News says federal investigators are interested in the Podesta Group’s work from 2012 to 2014 for a public relations campaign organized by Manafort, Trump’s former campaign chairman, for a nonprofit called the European Centre for a Modern Ukraine. The nonprofit reportedly was backed by the “pro-Russian and oligarch-funded Ukrainian political party” that was in control of Ukraine at the time, according to NBC News. Oct. 30 — Manafort, Trump’s former campaign manager, and Rick Gates, Manafort’s former business associate and a Trump campaign aide, are indicted on money laundering and tax evasion charges related to their work for a pro-Russia political party in Ukraine. Between 2006 and 2015, Manafort controlled firms that did “political consulting, lobbying, and public relations” for the government of Ukraine, the Party of Regions and its presidential candidate, Viktor Yanukovych, and then later for the Opposition Bloc, a successor to the Party of Regions, according to the indictment. Yanukovych, a close ally of Putin, was elected president of Ukraine in 2010, but fled the country in 2014 after a popular uprising. The Opposition Bloc formed after Yanukovych fled Ukraine. Manafort allegedly laundered “more than $18 million” that he used to buy property, goods and services in the United States without paying federal taxes. “Gates transferred more than $3 million from the offshore accounts to other accounts he controlled,” the indictment says. “The indictment contains 12 counts: conspiracy against the United States, conspiracy to launder money, unregistered agent of a foreign principal, false and misleading [Foreign Agents Registration Act] statements, false statements, and seven counts of failure to file reports of foreign bank and financial accounts,” a Department of Justice press release says. Gates joined the Trump campaign at around the same time that Manafort became the campaign’s convention manager in late March 2016. He served as Manafort’s deputy and remained with the campaign after Manafort left in August 2016. Papadopoulos, who became a campaign adviser in March 2016, learned from the professor in April 2016 that Russia possessed “dirt” on Hillary Clinton “in the form of ‘thousands of emails,’” according to a statement from the Justice Department stipulating the facts of the case against Papadopoulos. However, Papadopoulos falsely told the FBI “multiple times that he learned that information” about Clinton prior to joining the Trump campaign, according to the statement. Papadopoulos lied to the FBI about his contacts with the “Female Russian National,” and failed initially to disclose his contacts with the “Russian MFA Connection,” the statement says. Nov. 2 — Carter Page, a foreign policy adviser to the Trump campaign, testifies before the House intelligence committee at a closed-door hearing. According to a transcript of his testimony, Page tells the committee that he briefly exchanged “some nice pleasantries” with Russian Deputy Prime Minister Arkady Dvorkovich during his July 8, 2016, trip to Moscow, where both men spoke at the commencement ceremony of the New Economic School. Page also confirms for the committee that he wrote an email to campaign policy aides J.D. Gordon and Tera Dahl that said: “On a related front, I’ll send you guys a readout soon regarding some incredible insights and outreach I’ve received from a few Russian legislators and senior members of the Presidential administration here.” But, under questioning, he says that he gained those “incredible insights” from listening to Dvorkovich’s speech and reading the Moscow newspapers — not from meetings with Russian government officials. Nov. 14 — Sessions testifies before the the House judiciary committee and addresses why he failed to inform Congress that Russia was discussed at a March 31, 2016, meeting of the Trump campaign’s national security team. Sessions, who was chairman of the national security committee, says he didn’t recall the meeting until he saw recent news reports about it. Papadopoulos, a member of the national security team who pleaded guilty to lying to the FBI, told the Justice Department that he introduced himself at the March 2016 meeting as someone who had Russian contacts and could help arrange a meeting between Trump and Putin. “I did not recall this event, which occurred 18 months before my testimony of a few weeks ago, and would gladly have reported it had I remembered it, because I pushed back against his suggestion that I thought may have been improper,” Sessions says of Papadopoulos and the March 31, 2016 meeting. The attorney general also said that he did not recall a conversation with Carter Page about Page’s visit to Moscow in July 2016. Nov. 16 — The Senate judiciary committee asks Kushner to provide “missing documents” related to the Russia probe that it knows exists. “For example, other parties have produced September 2016 email communications to Mr. Kushner conceming WikiLeaks, which Мr. Kushner then forwarded to another campaign official. Such documents should have been produced in response to the third request but were not,” the committee says in a letter to Kushner’s attorney. “Likewise, other parties have produced documents concerning а ‘Russian backdoor overture and dinner invite’ which Mr. Kushner also forwarded. And still others have produced communications with Sergei Millian, copied to Mr. Kushner.” Millian is a Belarusan American businessman and president of the Russian-American Chamber of Commerce who has boasted of his contacts with high-ranking Russian government officials. Dec. 1 — Retired Lt. Gen. Michael Flynn, President Trump’s former national security adviser, pleads guilty to making false statements to the FBI. Flynn admits lying to FBI agents about two discussions he had with Sergey Kislyak, the Russian ambassador to the United States, in December 2016 when Flynn was still a private citizen and before Trump took office. In the first instance, Flynn admits he lied to FBI agents about a conversation he had with Kislyak on Dec. 22, 2016 about an upcoming U.N. Security Council resolution. Although he initially denied it to FBI agents, Flynn now admits he asked Russia to delay or defeat a U.N. Security Council resolution, approved Dec. 23, 2016, that would have condemned Israel’s building of settlements in the West bank and east Jerusalem. The Obama administration had agreed to allow the resolution to come up for a vote over the objection of Israel. Flynn also admits that he lied to FBI agents about a Dec. 29 conversation that he had with Kislyak about the sanctions imposed by the Obama administration that day for interfering in the 2016 U.S. elections. Flynn told Kislyak that Russia should refrain from responding to the U.S. sanctions and Kislyak agreed that Russia would “moderate its response to those sanctions” as a result of his request, according to charges filed by the U.S. special counsel’s office. But, when interviewed by the FBI on Jan. 24, Flynn denied making such a request and could not recall if Kislyak agreed to his request. “My guilty plea and agreement to cooperate with the Special Counsel’s Office reflect a decision I made in the best interests of my family and of our country,” Flynn says in a statement. Dec. 6 — Donald Trump Jr. testifies in a closed session of the House intelligence committee. He tells the committee that he spoke to his father about a June 2016 meeting at Trump Tower with a Russian lawyer two days after the New York Times reported about the meeting on July 8, 2017. But the president’s son declines to disclose the content of his conversation with his father. 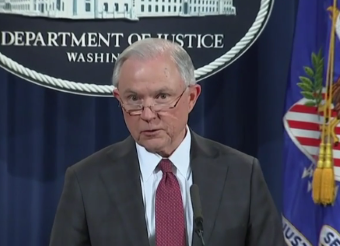 Jan. 24 — The Justice Department confirms that Attorney General Jeff Sessions was interviewed by the special counsel’s office last week as part of its Russia investigation. Jan. 25 — John Dowd, Trump’s private attorney, releases a one-page memo that says the Trump campaign turned over 1.4 million pages of documents to the special counsel’s office and the White House provided over 20,000 pages. The memo also says that the special counsel’s office to date has interviewed more than 20 White House staffers, 17 Trump campaign workers and 11 others affiliated with the Trump campaign. Jan. 29 – In a letter to special counsel Mueller, Dowd and Sekulow write that the president “dictated” a July 8, 2017 statement to the New York Times about the June 2016 Trump Tower meeting between top Trump campaign aides and Russian lawyer Natalia Veselnitskaya. The lawyers write, “You have received all of the notes, communications and testimony indicating that the President dictated a short but accurate response to the New York Times article on behalf of his son, Donald Trump, Jr.” The admission contradicts statements made last year by Sekulow and Sanders, the White House press secretary, that the president did not dictate the letter. Feb. 12 — Richard Pinedo, a California man, pleads guilty to identity fraud. Pinedo operated an online service called “Auction Essistance,” which federal prosecutors say was used by foreign nationals “to circumvent the security features of large online digital payment companies.” Prosecutors did not identify Pinedo’s clients. However, Pinedo’s attorney, Jeremy I. Lessem, told the New York Times that the California man did not know the identity or the motivation of his clients. “To the extent that Mr. Pinedo’s actions assisted any individuals, including foreign nationals, with interfering in the American presidential election, it was done completely without his knowledge or understanding,” Lessem told the Times. Feb. 16 — The special counsel’s office charges three Russian organizations and 13 Russian nationals with violating U.S. criminal laws to interfere in the 2016 U.S. elections. The indictment says the defendants conspired to defraud the United States. The conspiracy involved using the names of U.S. citizens and companies to illegally buy political ads on social media and stage political rallies. Some defendants also “solicited and compensated real U.S. persons to promote or disparage candidates,” according to the indictment. The defendants are alleged to have employed hundreds of people for its online operations, “ranging from creators of fictitious personas to technical and administrative support personnel, with an annual budget of millions of dollars,” Deputy Attorney General Rod Rosenstein says. By early to mid-2016, the defendants’ operation included supporting Trump and disparaging Clinton, the indictment says. “Some Defendants, posing as U.S. persons and without revealing their Russian association, communicated with unwitting individuals associated with the Trump Campaign and with other political activists to seek to coordinate political activities,” the indictment says. The Internet Research Agency, an online Russia propaganda operation based in St. Petersburg, was among those indicted. “The indictment charges all of the defendants with conspiracy to defraud the United States, three defendants with conspiracy to commit wire fraud and bank fraud, and five defendants with aggravated identity theft,” the special counsel’s office says. Feb. 20 — Alex van der Zwaan, a former associate at Skadden, Arps, Slate, Meagher & Flom and son-in-law of Russian oligarch German Khan, pleads guilty to making false statements to federal investigators. Van der Zwaan admitted he lied about conversations he had with Rick Gates, Trump’s former deputy campaign chairman, about Skadden’s report on Ukraine’s former prime minister, Yulia Tymoshenko. He also “deleted and otherwise did not produce emails” that had been requested by the law firm and/or the special counsel’s office, according to court documents. Feb. 23 — Rick Gates pleads guilty to conspiracy and making false statements to federal investigators. Gates was originally indicted Oct. 30, 2017, on money laundering and tax evasion charges related to work that he and his business associate, Paul Manafort, did for a pro-Russia political party in Ukraine. Gates admits he participated in the financial conspiracy with Manafort. He also admits that he lied to prosecutors about a 2013 meeting involving Manafort and a congressman — identified by NBC News as Rep. Dana Rohrabacher, a member of the House Foreign Affairs Committee who chairs the panel’s subcommittee on European affairs. Gates misled investigators when he told them that Ukraine had not been discussed at the meeting. Gates is now cooperating with federal investigators in exchange for dropping other criminal charges, including money laundering and tax evasion charges in the original indictment. The special counsel’s office also files a superseding indictment against Manafort. The new charges include the allegation that “Manafort, with the assistance of Gates, … secretly retained a group of former senior European politicians to take positions favorable to Ukraine, including by lobbying in the United States.” The indictment says, “The plan was for the former politicians, informally called the ‘Hapsburg group,’ to appear to be providing their independent assessments of Government of Ukraine actions, when in fact they were paid lobbyists for Ukraine.” In his plea agreement, Gates acknowledges participating in that conspiracy. March 12 — The House Permanent Select Committee on Intelligence says it has ended its Russia investigation. The Republicans on the committee release a one-page summary of their draft report. It says, “We have found no evidence of collusion, coordination, or conspiracy between the Trump campaign and the Russians.” The full report has not yet been released. April 3 — U.S. District Judge Amy Berman Jackson sentences Alex van der Zwaan to 30 days in prison. Van der Zwann, a former associate at Skadden, Arps, Slate, Meagher & Flom and son-in-law of Russian oligarch German Khan, had pleaded guilty to lying to federal investigators about conversations he had with Rick Gates, Trump’s former deputy campaign chairman. It is the first sentence to be handed down in the Russia investigation. April 19 — The Department of Justice turns over to Congress seven memos that Comey wrote immediately after each encounter that he had with Trump, from Jan. 6, 2017, to April 11, 2017. April 27 — The Republican-controlled House intelligence committee issues a majority report on its Russia investigation along with a 98-page dissent from the Democrats. Both reports were redacted to protect classified information. The majority report says, “In the course of witness interviews, reviews of document productions, and investigative efforts extending well over a year, the Committee did not find any evidence of collusion, conspiracy, or coordination between the Trump campaign and the Russians. While the Committee found that several of the contacts between Trump associates and Russians — or their proxies, including WikiLeaks — were ill-advised, the Committee did not determine that Trump or anyone associated with him assisted Russia’s active measures campaign. April 30 — The New York Times reports that the special counsel’s office has “at least four dozen questions on an exhaustive array of subjects he wants to ask President Trump to learn more about his ties to Russia and determine whether he obstructed the inquiry itself.” The Times published a list of the questions. June 8 — The special counsel’s office files a third superseding indictment against Manafort, adding an obstruction of justice charge for alleged witness tampering.The new indictment also accuses Konstantin V. Kilimnik, Manafort’s one-time business associate, with obstructing justice. Kilimnik, who oversaw the Kiev office for Davis Manafort Partners Inc., is a Russian Army-trained linguist who prosecutors say had active ties to Russian intelligence during the 2016 campaign. June 15 — A federal judge, citing the new obstruction of justice charges, orders Manafort to be held in federal custody until the trial starts in September. July 13 — Rosenstein, the deputy attorney general, announces the indictment of 12 members of GRU, the Russian military intelligence agency. The GRU officers “engaged in a sustained effort to hack into the computer networks of the Democratic Congressional Campaign Committee, the Democratic National Committee, and the presidential campaign of Hillary Clinton, and released that information on the internet under the names ‘DCLeaks’ and ‘Guccifer 2.0’ and through another entity,” a Justice Department press release says. The names of those indicted are: Viktor Borisovich Netyksho, Boris Alekseyevich Antonov, Dmitriy Sergeyevich Badin, Ivan Sergeyevich Yermakov, Aleksey Viktorovich Lukashev, Sergey Aleksandrovich Morgachev, Nikolay Yuryevich Kozachek, Pavel Vyacheslavovich Yershov, Artem Andreyevich Malyshev, Aleksandr Vladimirovich Osadchuk, Aleksey Aleksandrovich Potemkin and Anatoliy Sergeyevich Kovalev. July 16 — The Department of Justice announces the arrest of Maria Butina, a Russian national, on charges that she conspired to act as a Russian agent to influence U.S. politics and advance Russia’s interests. The government says she “worked at the direction of a high-level” Russian official from as early as 2015 through at least February 2017. The official described in the Justice Department press release matches the description of Alexander Torshin, deputy governor of Russia’s central bank, who was sanctioned by the U.S. Treasury Department in April. July 31 – Paul Manafort’s trial on bank and tax fraud charges begins in Alexandria, Virginia. He is also due to stand trial in Washington, D.C., in September on separate charges of money laundering and failure to register as a foreign agent. Aug. 21 — A jury finds Paul Manafort, Trump’s former campaign manager, guilty on five tax fraud charges, one charge of failing to disclose foreign bank accounts and two counts of bank fraud. The judge dismisses 10 other charges after the jury failed to reach a verdict on those. Aug. 31 – Samuel Patten pleads guilty to violating the Foreign Agents Registration Act for failing to register as a lobbyist for a pro-Russian political party, the Opposition Bloc, in Ukraine, and members of that party, including “a prominent Ukraine oligarch” who matches the description of Serhiy Lyovochkin. Patten also admits he used foreign funds to arrange for a U.S. citizen to buy tickets for Lyovochkin to attend Trump’s inauguration, a court document shows. 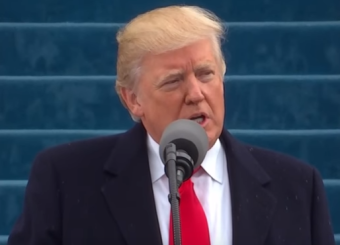 Federal law bans foreign nationals, including corporations, from contributing to presidential inaugurations. The plea agreement says Patten has agreed to cooperate with the Mueller investigation. Sept. 9 — On ABC’s “This Week,” Papadopoulos says that he told Trump, Sessions and others in attendance at a March 31, 2016 campaign meeting on national security that he had a “connection that can establish a potential summit between candidate Trump and President Putin.” Papadopoulos says that Sessions was “quite enthusiastic” about a possible meeting — contrary to what Sessions told Congress. Papadopoulos also says that sometime after June 20, when Manafort became the campaign manager, he told Manafort about the possibility of arranging such a meeting with Putin, but “it didn’t seem that Paul Manafort wanted to pursue this meeting.” Such a meeting never happened during the campaign. Sept. 14 — In a plea agreement with the special counsel’s office, Manafort, Trump’s former campaign manager, pleads guilty to two counts of conspiracy in federal court and agrees to “cooperate fully, truthfully, completely, and forthrightly with the Government and other law enforcement authorities identified by the Government in any and all matters as to which the Government deems the cooperation relevant.” The charges are conspiracy against the United States including money laundering, tax fraud, violating the Foreign Agents Registration Act, lying to the Department of Justice and obstructing justice by tampering with witnesses. The plea deal includes Manafort admitting guilt to bank fraud charges on which a Virginia district court had failed to reach a verdict. Nov. 7 — A day after the midterm elections, President Trump announces on Twitter that Department of Justice Chief of Staff Matthew G. Whitaker will replace Sessions, becoming acting attorney general. “We thank Attorney General Jeff Sessions for his service, and wish him well! A permanent replacement will be nominated at a later date,” the president writes. Sessions’ resignation letter says he is submitting it at the president’s request. Whitaker now oversees the special counsel’s investigation, not Deputy Attorney General Rosenstein. Nov. 20 — Trump submits written answers to special counsel Robert Mueller’s questions. Nov. 27 — Rudy Giuliani, one of Trump’s personal attorneys, says that Manafort’s lawyers shared information about their client’s discussions with the special counsel’s office even after Manafort pleaded guilty and agreed to cooperate with the federal government. Nov. 29 — Cohen, Trump’s former personal attorney, pleads guilty to lying to Congress about a real estate project that the Trump Organization pursued in 2015 and 2016, while Trump was running for president. The special counsel’s office says Cohen told Congress that the company’s pursuit of the project ended in January 2016 before “the Iowa caucus and … the very first primary,” but it did not. Cohen “discussed efforts to obtain Russian governmental approval for the Moscow Project” as late as June 2016. Cohen told Congress he did not receive a response from the Russian government about the project, when in fact he did. Cohen told Congress he did not travel to Russia in connection with the Moscow project, but he did not tell Congress that he agreed to go to Russia to discuss the project. Jan. 25 — The special counsel’s office arrests Roger Stone, an informal adviser to Trump. The indictment contains seven counts, including making false statements, witness tampering and obstruction. It says Stone lied to the House intelligence committee about, among other things, “his possession of documents pertinent to” the committee’s investigation and “his communications with the Trump Campaign” about WikiLeaks’ possession of material that could be damaging to Clinton and her campaign. Feb. 14 — The Senate confirms William P. Barr as attorney general. Barr assumes oversight of the special counsel’s investigation from acting Attorney General Matthew Whitaker. March 7 — Manafort, Trump’s former campaign chairman, is sentenced to 47 months in prison after being found guilty in August on five tax fraud charges, one charge of failing to disclose foreign bank accounts and two counts of bank fraud. The sentence is much less than the 19- to 24-year prison term recommended under federal sentencing guidelines. It is the first of two sentences for Manafort. March 13 — Manafort, who was sentenced earlier this month to 47 months in prison, receives an additional 43 months of prison time. Federal Judge Amy Berman Jackson sentences Manafort on two conspiracy counts involving money laundering and tax evasion charges related to his work for a pro-Russia political party in Ukraine. He pleaded guilty in September. Combined, Manafort is scheduled to now serve seven-and-a-half years. March 22 — Attorney General William P. Barr notifies Congress that Mueller has concluded his investigation and submitted a confidential report. March 24 — Barr sends Congress a four-page letter that summarizes Mueller’s confidential report on the investigation. The report contains two parts. The first part involves the results of the special counsel’s investigation into Russia’s interference in the 2016 election, and whether anyone associated with the Trump campaign conspired with the Russians. 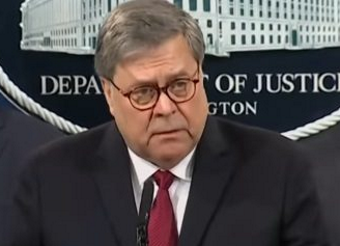 “As the report states: [T]he investigation did not establish that members of the Trump Campaign conspired or coordinated with the Russian government in its election interference activities,” Barr writes. “The Special Counsel states that ‘while this report does not conclude that the President committed a crime, it also does not exonerate him,'” Barr’s letter says.